You've probably seen the headlines of some fine artwork selling at auction fro $100 million or more? Or what about the story of some guy finding a painting at a garage sale and it ended up being worth millions? You might be thinking to yourself - artwork commands huge prices. Maybe there is an investment opportunity here? Well, in fact there is, and individuals have been investing in artwork for 100s of years. However, in the last few years, innovations in the investment space have now allowed individuals to invest in fine art - even ones worth millions of dollars. With Masterworks.io, you can buy a fractional ownership of artwork. Let's take a look at Masterworks and see if it makes sense for you. For anyone with an eye for art, owning an Andy Warhol, such as the piece 1 Colored Marilyn, would be a valuable addition to their collection. However, such famous paintings are out of reach for most art collectors. After all, the last sale on 1 Colored Marilyn went for $1.815 million. Masterworks.io, a New York-based company, is changing how art is sold by making ownership of famous art accessible to smaller art collectors. “Artwork made by some of the world's most significant artists tends to appreciate at the highest rates, but very few people can access them due to the price point. Masterworks aims to make it possible for anyone to invest in this asset class by offering the opportunity to invest in artworks at an affordable entry point,” said CEO Scott Lynn, in a press release. By purchasing art and selling fractions of it to investors, Masterworks.io is able to sell art at a much lower price. A lower price doesn’t mean lower value. The art still retains its value. The Masterworks.io’s platform uses blockchain technology to sell fractional shares of artwork. You might wonder why an art company needs blockchain technology. Let’s look at a full transaction to understand this. Masterworks.io looks at how specific art pieces have appreciated over time. It wants to buy art that has the best chance of continuing to appreciate. That is how smaller collectors will make a return. 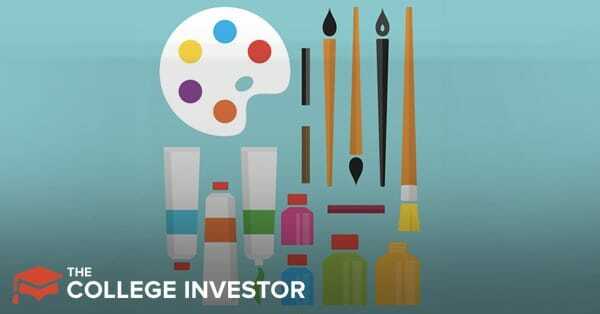 Once a piece is selected, Masterworks.io buys it then registers the art with the Securities and Exchange Commission (SEC). This securitizes the art. After the art is approved by the SEC, Masterworks.io can list it for sale on their platform. The first piece will be Warhol’s 1 Colored Marilyn with 99,825 shares on offer. This is where the blockchain technology comes in. Masterworks.io platform is based on the Ethereum blockchain. Customers can search art pieces on their platform and choose one to invest in with as little as $20, although you need a $1,000 deposit to start. The platform allows investors to monitor the performance of their art over time. As it appreciates, the investor can choose to sell their shares for a profit. Masterworks.io will eventually let customers use Ethereum tokens to complete transactions on the platform. The fee structure of Masterworks.io is similar to that of a hedge fund. Hedge funds charge 2 and 20, which means a 2% annual management fee and 20% of any profits. Masterworks.io charges 1 and 20. That equates to a 1% annual fee and 20% of profits. Is that a good deal? That's a tough amount to tolerate. 20% will cut deep into any profits. For example, let's say the artwork returns 20% on average (which is very high). That should grow your $1,000 initial investment into $6,192. However, a 1% annual management fee would lower that by $581 to $5,611. Then you pay your 20% of the profits, which lowers it to $4,688.80. That changes your annual return from 20% per year to just 7.8% per year net of fees. Still not a bad return, but that also assumes an initial 20% per year price appreciation. Since 2000, the Artprice100 index shows a return of over 450%, while the S&P 500 is less than 200%. What’s important to understand is that 450% is the return of an index. Meaning, you had to own many different types of paintings to get that return. It also doesn’t factor in fees like 1 and 20. If you are only buying fractional shares in a handful of pieces, what are the odds you have chosen all the right pieces that will return 450% over the 18 years? It’s anyone’s guess. The Masterworks.io platform isn’t fully built out. You can’t currently sell your shares. If you buy shares on their platform but have no way to sell them, you’re basically locked in. Also, will the platform attract enough investors that there is any demand for your shares? In other words, will the platform be able to produce enough liquidity? We aren’t questioning the fact that it would be nice to own a Picasso or Warhol. But until Masterworks.io’s platform is completely built out and and proven over time, we caution against investing funds that you can't afford to lose. Masterworks.io is an interesting platform. The ability to invest in fine art is attractive, and may be interesting to some investors looking to diversify into alternative investments. However, the fees are very high compared to other investment alternatives, and there is no guarantee on appreciation. Furthermore, there is no ability to sell as of today, so that could be problematic in the future.